A fun pulpy take on Cleopatra, with a very diminutive Pascale Petit (haha) in this movie co-directed by Piero Pierotti and the great Viktor Tourjansky. This film has a definite Tourjansky feel to it and I wouldn't be surprised if the bulk of the production was directed by him. He specialized in female-centric stories like this one. 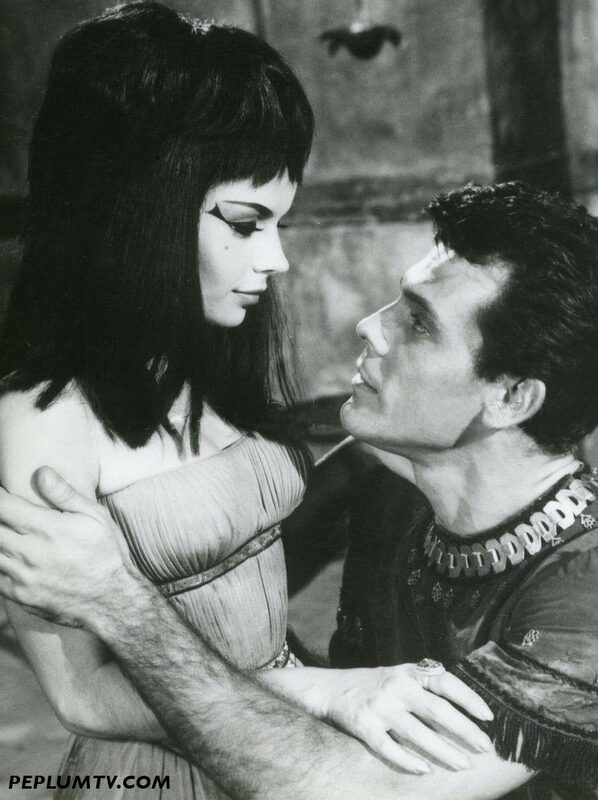 In this film, George is an unlikely romantic lead but Pascale is charming as a young and mischievous Cleopatra. I like it. I uploaded it to my PEPLUM TV channel. This movie is good fun and Pascale is cute. However, it is pretty far from the historical reality. Admittedly one does not watch Peplums for history lessons! Cleopatra was brilliant, multilingual, cunning, and quite ruthless. She had her exiled sister Arsinoe assassinated in Ephesus. Earlier she had arranged for the murder of General Pompey. Vivien Leigh's performance in CAESAR AND CLEOPATRA (1945) does a somewhat better job at hinting at Cleopatra's ruthless side. Pascale definitely looks petite in this photo! I have never seen this and am looking forward to another PEPLUM TV home matinee!